A precocious olive for grafting varieties onto. Hybrid of Scarlet mandarin and trifoliate orange (P. trifoliata) bred by NSW Agriculture. It was released in 1995 and is compatible with Eureka lemon. 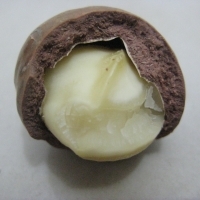 Cox is resistant to phytophthora root and collar rot. Seedlings are moderately vigorous and easier to grow than Benton citrange, making it more nursery-friendly. Trifoliata rootstock is resistant to citrus nematode and some species of phytophthora. It grows well on heavier clay loams to loamy soils in the cooler areas. Fruit quality is excellent when used under oranges and some mandarins. Best all purpose stock for orchardists and home gardeners. 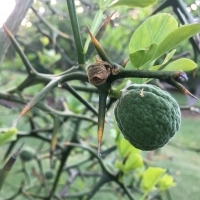 Citrus rootstock used to dwarf the variety grafted onto it. It is a mutated Trifoliatia species which has hooked thorns and much slower growing. Due to the difficulty and slowness in growing Flying Dragon, Citrus varieties grafted onto this variety are usually more expensive. It imparts the same characteristics to the scion, including cold hardiness, tolerance to root fungi and nematodes. The bitter fruits can be used in marmalades and marinades. Persimmon rootstock used for grafting our persimmon varieties onto. Can be grown on as a very attractive ornamental tree with its deep orange foliage in autumn. Will fruit from seed in 5-7 years. Quick growing hardy shade tree. Used also as a rootstock for Mulberry varieties. This tree is used as a host plant for silk worms employed in the commercial production of silk. Morus alba is also notable for the rapid release of its pollen which is launched at over half the speed of sound. 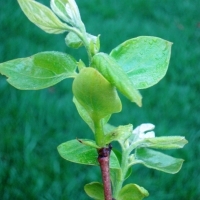 Seedling for grafting on to. Seed selected from Vigorous Guatamalan mother tree. Perfect for grafting. Troyer is suitable for citrus varieties on good, well-drained soils but are slow to establish in sandy soils where they are inclined to suffer from trace element deficiencies. They have good tolerance to nematodes and phytophthora root rot but do not thrive on alkaline soils. 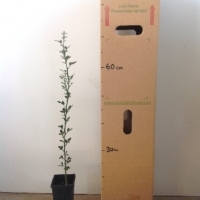 Citrus rootstock having dwarfing characteristics. Compatibility and disease resistence similar to Troyer Citrange.